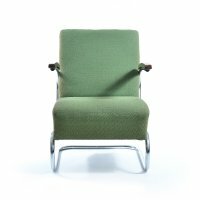 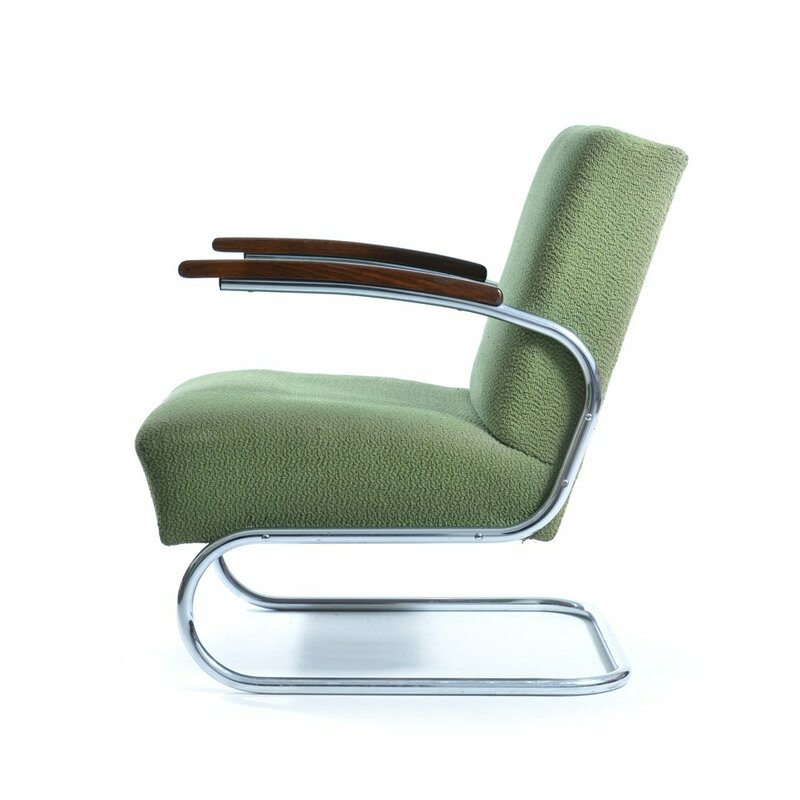 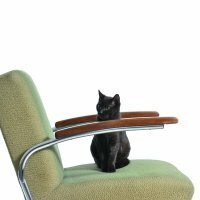 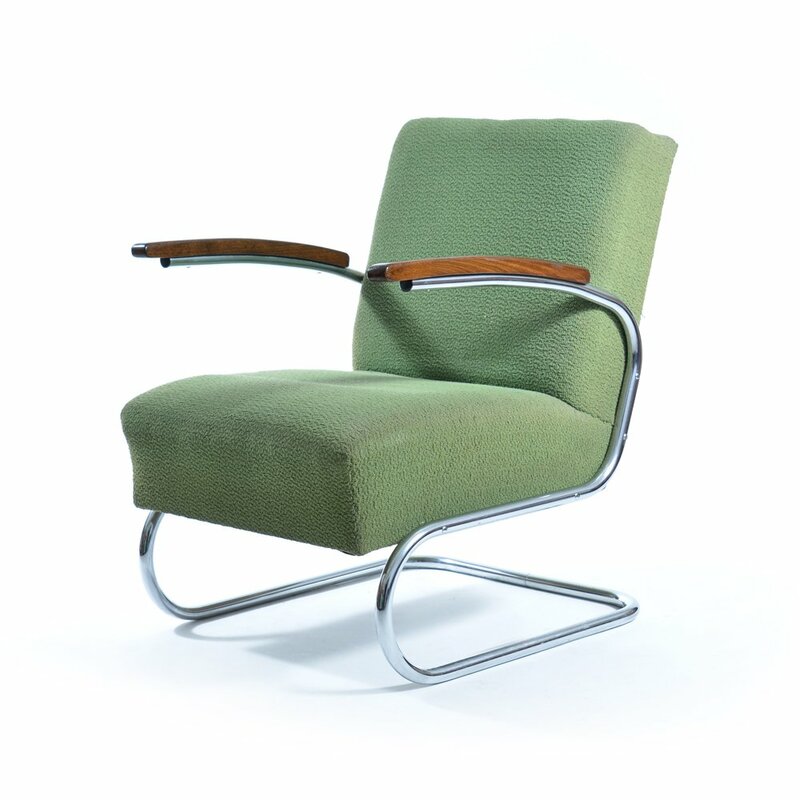 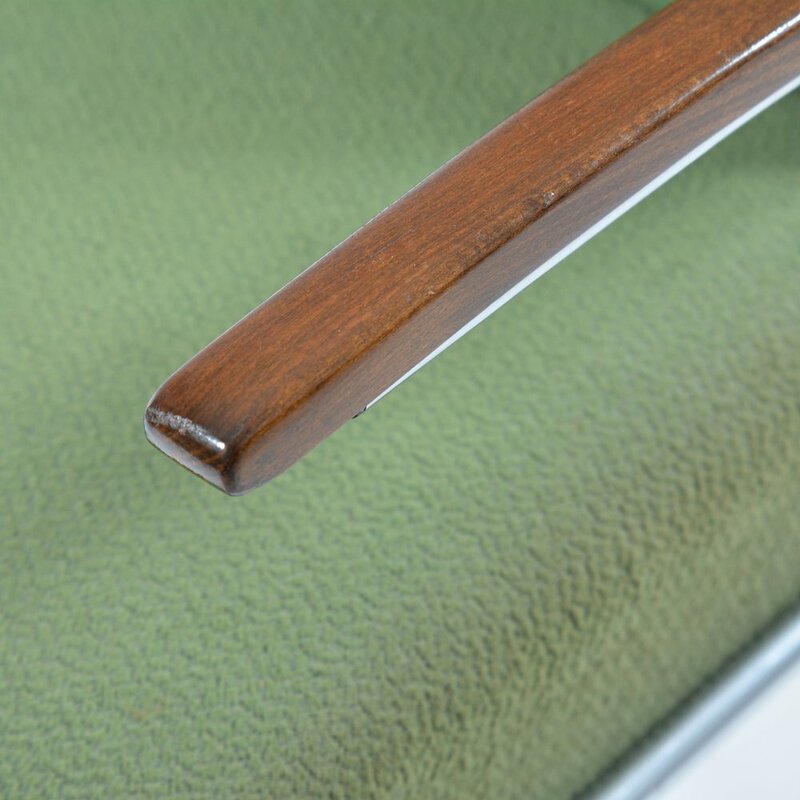 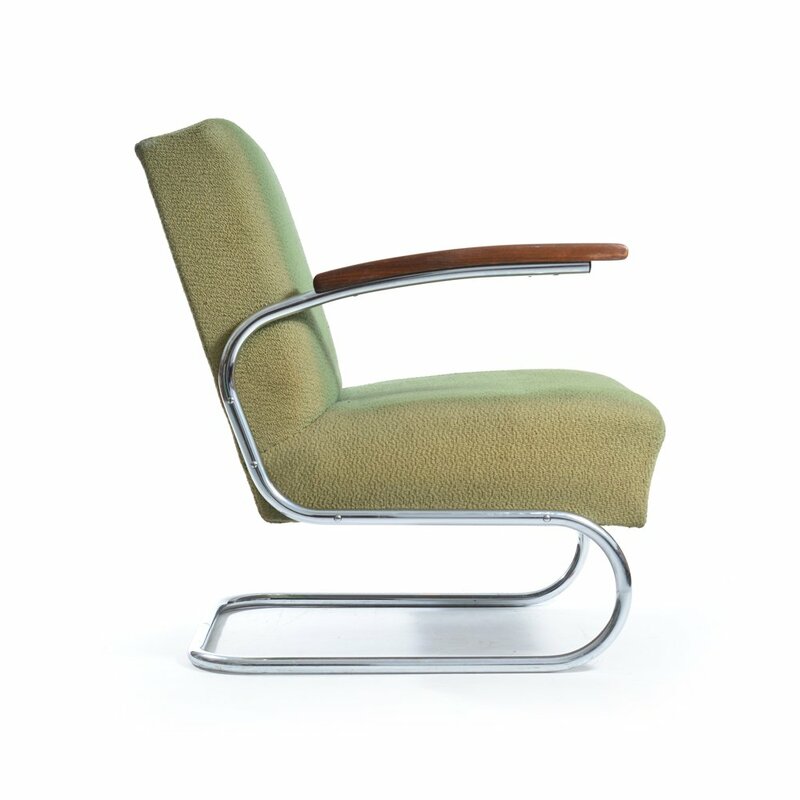 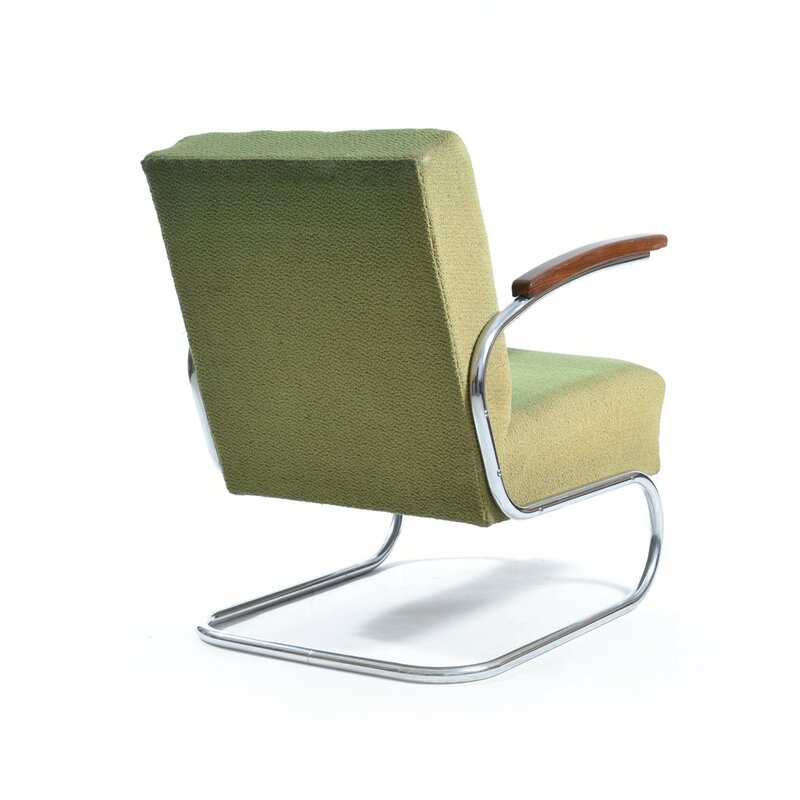 Iconic armchair type S411 on a chrome frame by Mücke Melder, designed in 1932. 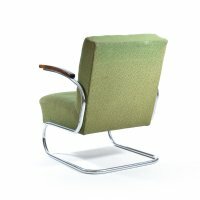 This chair was produced in 1940s. Original green fabric in very good condition with minor wear. 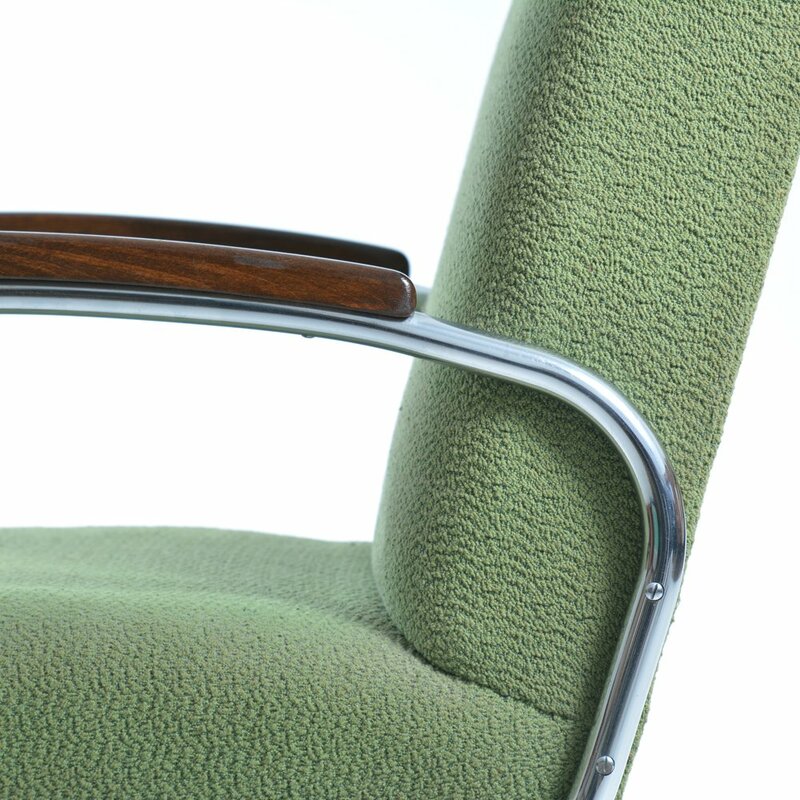 One side of the chair shows some sun fading. 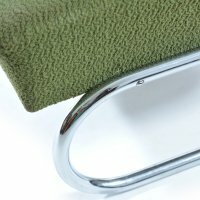 Chrome in excellent condition. 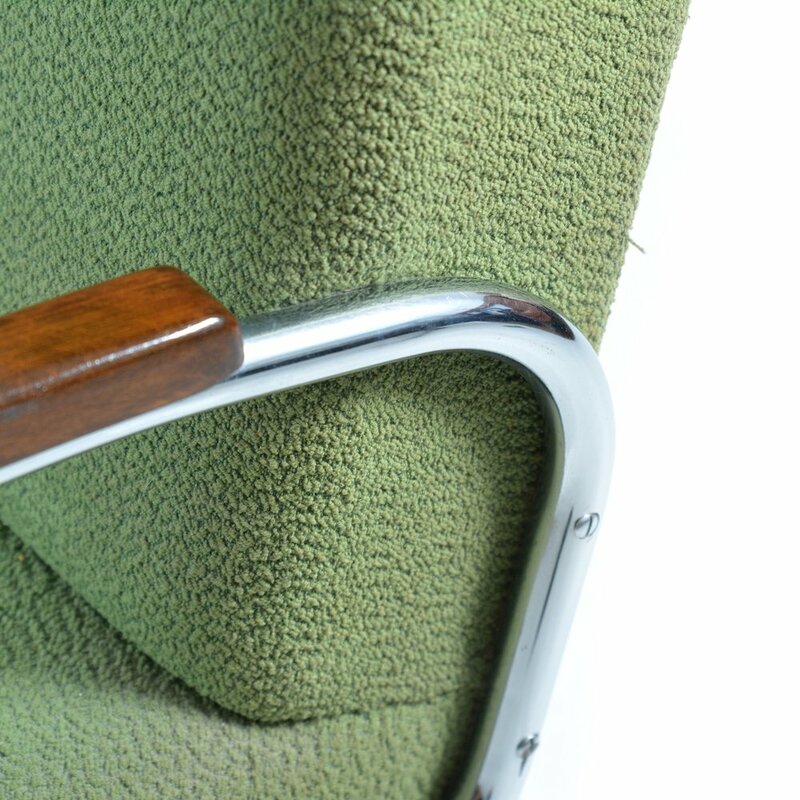 Wooden armrests looking beautiful. 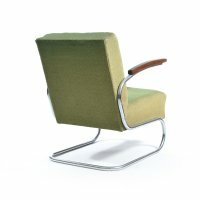 Unique, elegant and comfortable model.